It pays to be extra careful these days. With criminals lurking around whether in the real world or online, one needs to know the ways to protect one’s self from possible danger. You just can’t be sure of your safety today in places you go to whether for work or for leisure. Since everybody in the mobile tech scene are all agog about mobile applications right now, here’s an interesting report called – Sizing Up the Global Mobile Apps Market. 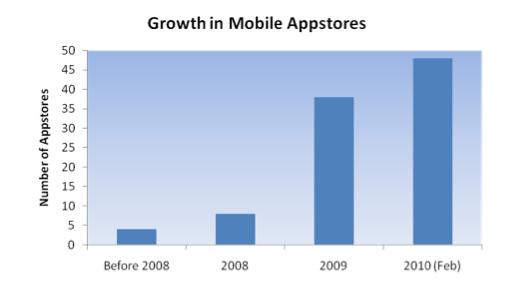 According to the study, the overall mobile apps download could grow at the rate of 92% from 7 billion in 2009 to almost 50 million by 2012. In terms of revenue, mobile ads and virtual goods is expected to bring in 62% more from a mere $4.1 billion in 2009 to around $17.5 billion by 2012. Â These include revenues from both paid and free apps. Â Free apps developers get to earn through mobile ads peppered on their applications’ interfaces. The study also highlighted the contributions made by Apple’s Apps Store in sparking new interests into mobile apps. Actually mobile apps have been around since the nineties, but only reached its peak of success when Apple launched its Apps Store. True enough, we’ve only heard about the Google Android Market recently. And soon after the BlackBerry App World, WebOS apps market, and even Nokia’s Ovi store which houses its mobile apps gained some recognition and online mileage. To achieve this growth, creative strategies should be implemented by countries to attract new customers and different business models since the dynamics of the app market varies in emerging nations. The mobile apps ecosystem will prosper if some actions to enhance discovery, improve user experience, drop price barriers and increase developer revenue share are adapted. Are you a mobile app developer? Â You think you have the best idea to program the best mobile appl that can change the world for the better? Then, you might want to join Nokia’s Calling All Innovators 2010 contest. At stake is $1M prize money. Due to the overwhelming success of 2009’s Calliing All Innovators Contest, Nokia is doing it again this year. And this time Nokia has teamed up with “Sesame Street”, yes THE Sesame Street that we all grown up to love. Â The objective of contest is to show to the world that developers/programmers/coders can “do good business and do good” at the same time. Â In other words, that developers are not your robotic geek whose only concern is to come up with the coolest application that VC’s will be willing to fund. These year’s contest has four categories – Eco/Being Green, Productivity, Entertainment and Life Improvement. Remember, your mobile application should “bring hope and higher living standards” to third world markets. If you have no idea what those types of mobile apps should be, some examples would have to be mobile applications for crop monitoring, weather tracking, pricing and other apps that ought to improve human lives. Ready to take on the challenge? Â Find out more details about here. And here’s a short video of last year’s winner accepting his prize. 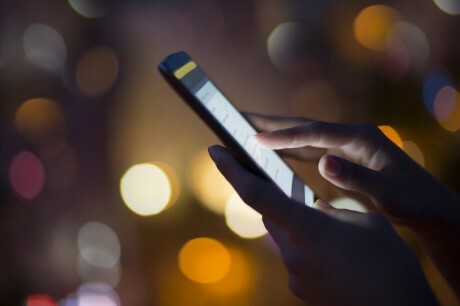 If you’re located anywhere in the UK or France, chances are your mobile service provider is Orange. The company’s got some good news for you, by way of its own Orange App Shop which is currently available as an over-the-air update feature right now.Â But pretty soon, the Orange App Shop will be available through a one-click process from your mobile phone’s homescreen. So, what does the Orange App Shop have up on its sleeves? Dig these – more than 5,000 applications, games, ringtones and wallpapers. Alright, I know 5000 is nothing compared to the iPhone’s tons of applications, but hey this is Orange in the UK so 5,000 apps are enough to get you excited, right? Aside from these apps, the Orange App Shop which is currently available on various handsets carried by Orange will also provide other services including Orange TV, Orange Games and Orange Maps. What’s good about the Orange App Shop is the fact that anything in it can be purchased and downloaded through an Orange customer’s mobile bill. This is definitely an added bonus for Orange customers who will use the App Shop. The Orange App Shop is up and running right now. You have three options to access it – through a web portal, WAP portal and the Orange App Shop client which will be pushed to your phone over-the-air. To bring in more developers and their applications, Orange has also partnered with several app developers through the Orange Partner Programme. 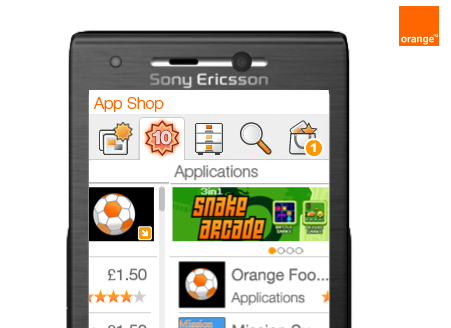 Interested in the Orange App Shop? Check out Â an online demo to discover how it works here.